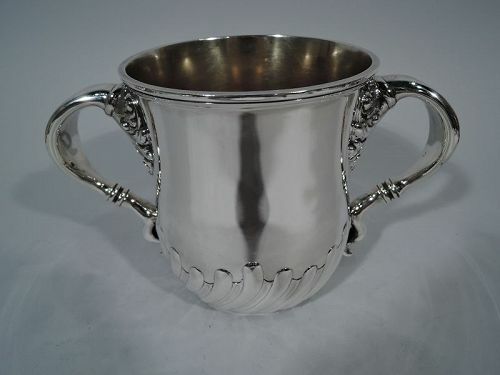 We offer a variety of vintage trophy cups for sale for every occasion. 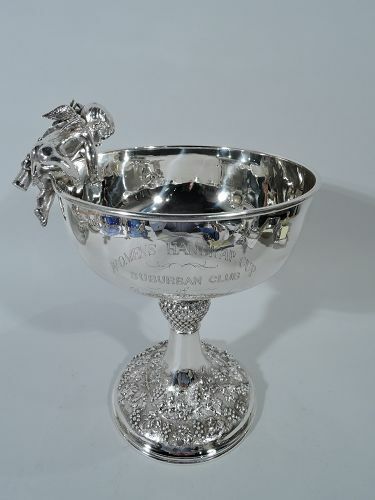 Our sterling silver trophies make beautiful decorations, and to make the award even more special, have space for custom engravings. There are also many varieties of handles, sides, and rims to fit your unique style. With personalized sterling silver trophies, you can celebrate incredible accomplishments in style. The small details can make a world of difference, and from corporate triumphs to athletic achievements, we can help you find the best option for your particular needs. 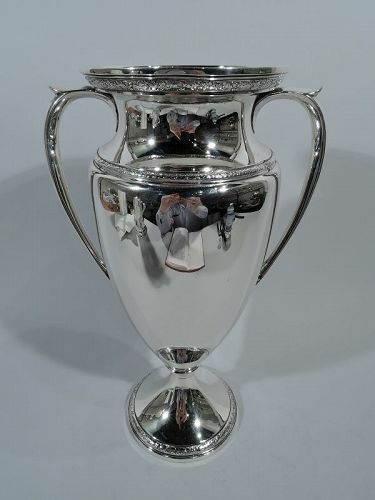 Browse our collection of vintage trophy cups for sale, and honor success today! 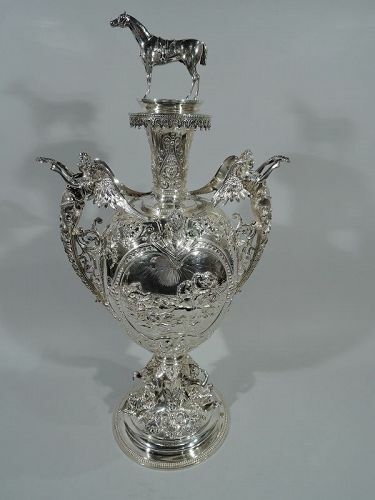 Victorian sterling silver trophy. Made by Edgar Finley and Hugh Taylor in Birmingham in 1883. 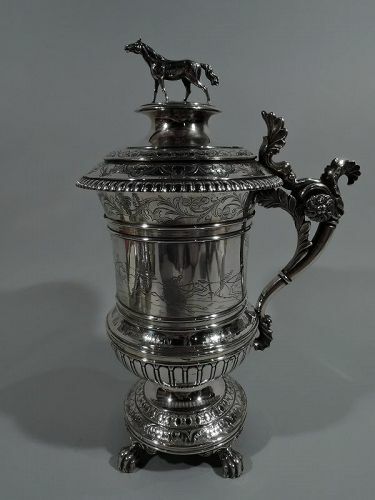 Georgian-style sterling silver covered trophy cup. Retailed by Peter Guille, Ltd in New York. 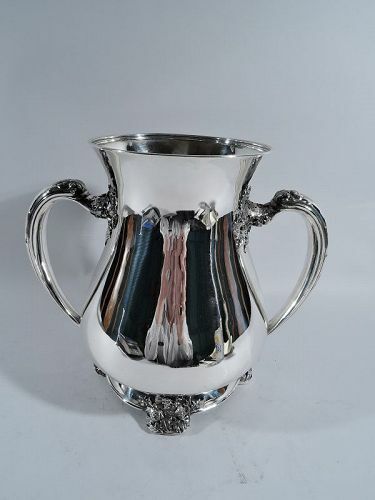 Urn with leaf-capped s-scroll side handles and stepped foot. Domed cover with leaf finial. Fluid leaf-and-dart border chased at base and surrounding finial. Old English substance with lots of room for engraving. Hallmarked. Very good condition. 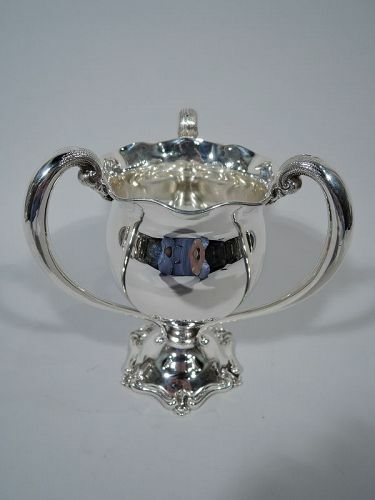 Sterling silver trophy cup. 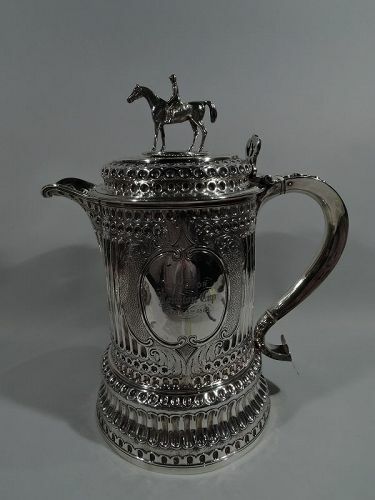 Made by Bigelow, Kennard & Company Inc. in Boston, ca 1900. 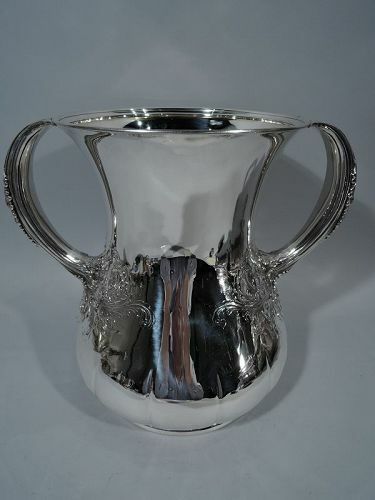 Urn with scroll-mounted scroll handles and twisted fluting at base. Gilt interior. 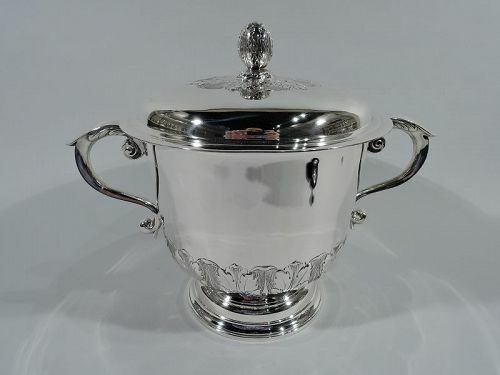 Traditional and substantial with room for engraving. Hallmarked. 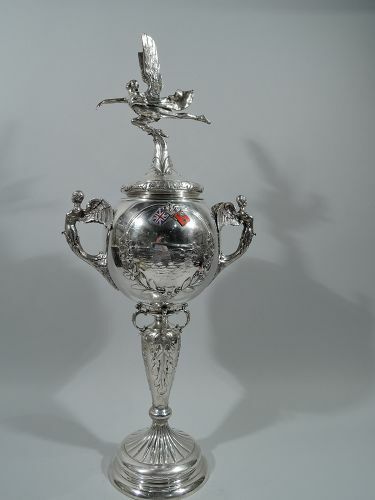 Sterling silver trophy cup. Made by Tiffany & Co. in New York, ca 1900. Ovoid body, flared mouth, and c-scroll handles with realistic leaf and bud mounts. Spread foot has same applied to four supports. 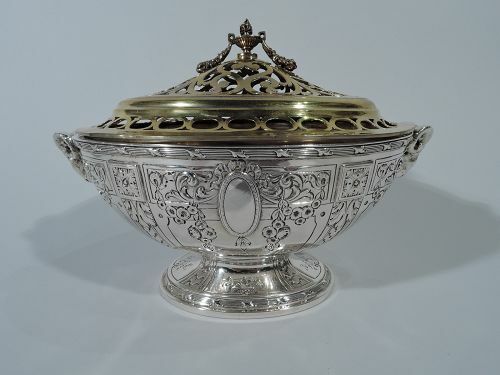 Interior has gilt wash. A fine design with lots of room for engraving. Hallmark includes pattern no. 14417 (first produced in 1900) and director’s letter T (1892-1902). Very good condition.